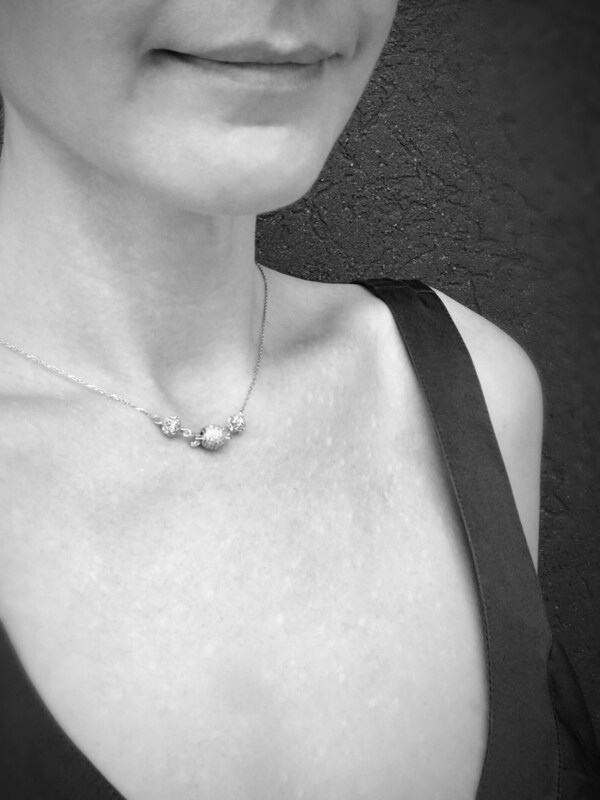 This necklace is pure romance. 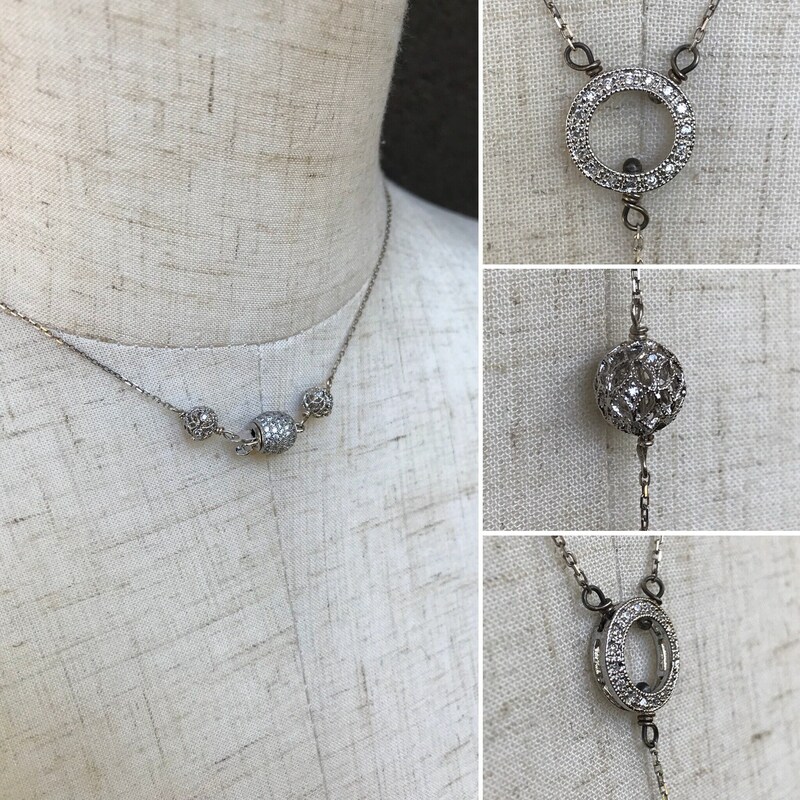 Made of solid sterling silver and cubic zirconia pave inlay, this "Y" style necklace is full of fine filigree details and absolutely dripping with sparkle. Designed to drape down the back with an open back dress or top, or can be worn draped down the front as well. It is well balanced, easy to wear and versatile for a super formal look or a head turning casual look. The design was inspired by the 1920's and 30's Art Deco style, in all of it's glitz and glamour, and fine attention to line and detail that the era is famous for. 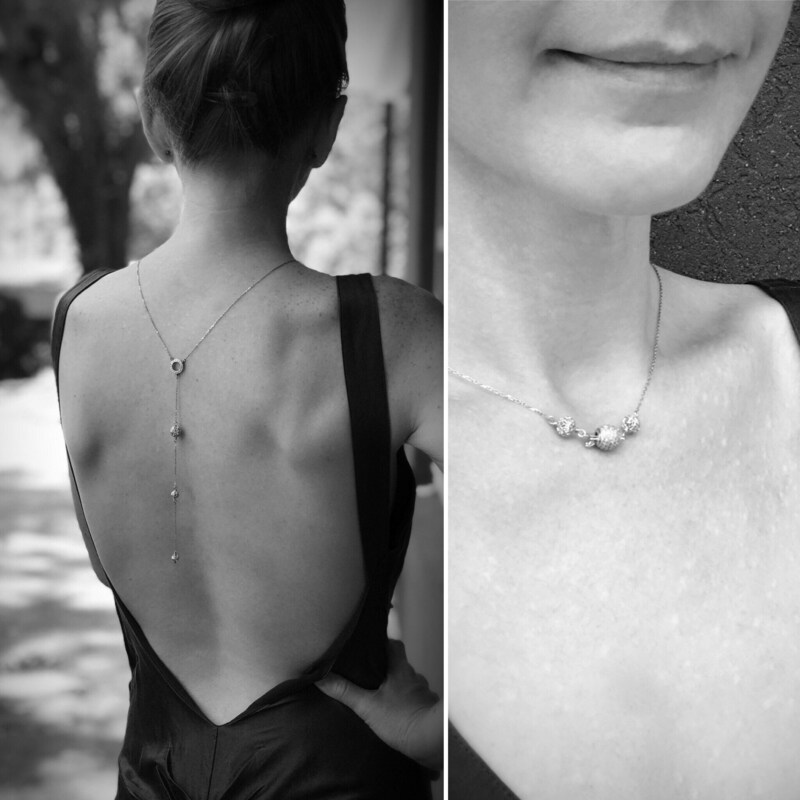 You will receive the exact necklace shown in the photos. -Chain is solid sterling silver 1.1mm diamond cut cable chain with plenty of sparkle. -Chain has just the slightest hint of patina to compliment the darkened ball pins and highlight the sparkle. 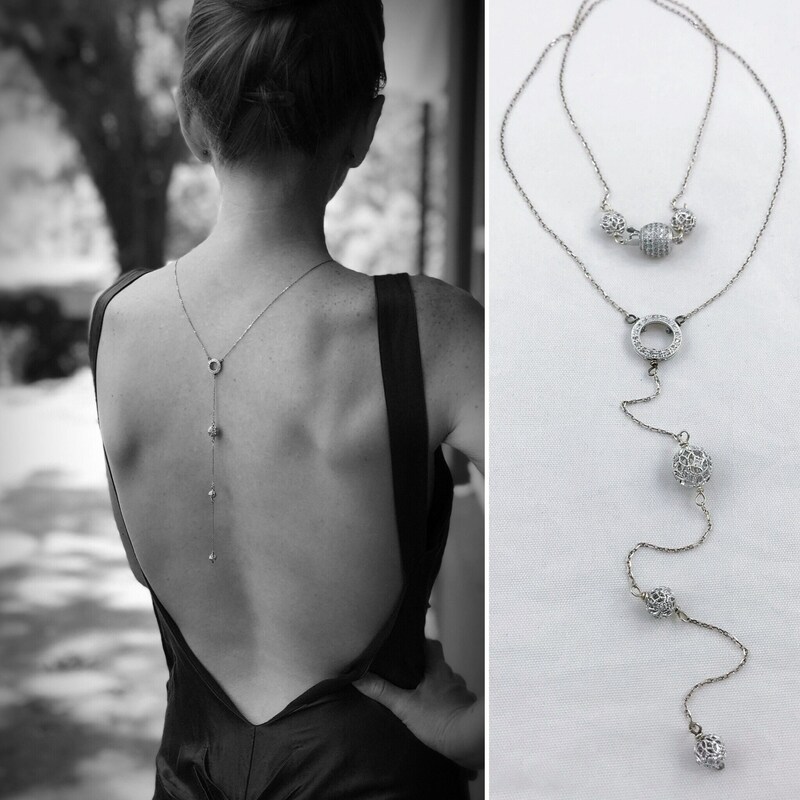 -Clasp is an 8mm solid sterling silver security ball clasp covered in five rows of cubic zirconia pave inlay. 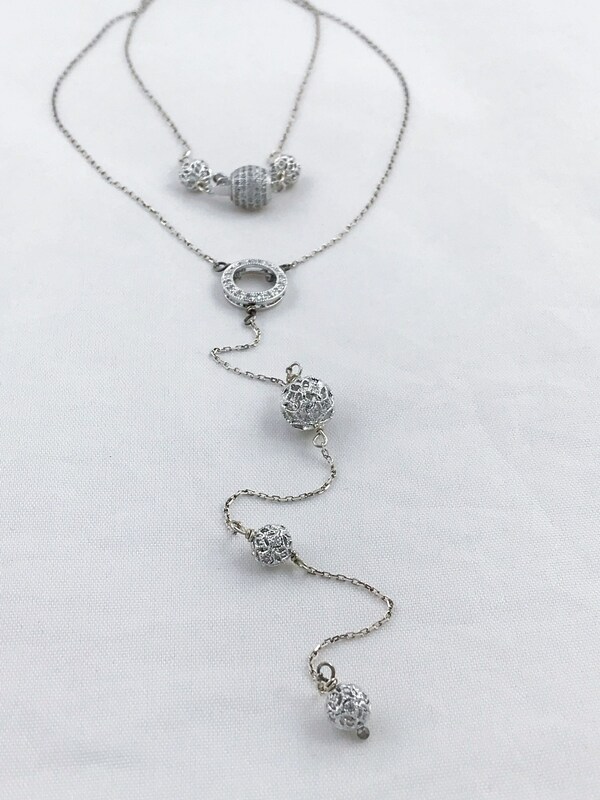 -Sterling filigree 6mm beads sit on either side of clasp, with one row of cubic zirconia pave inlay running along the center line of each bead (6 cz on each filigree bead). -Connecting point of "Y" is a 11.5mm sterling silver circle component with cubic zirconia pave inlay running all the way around the front side. It compliments and balances the look of the clasp nicely. 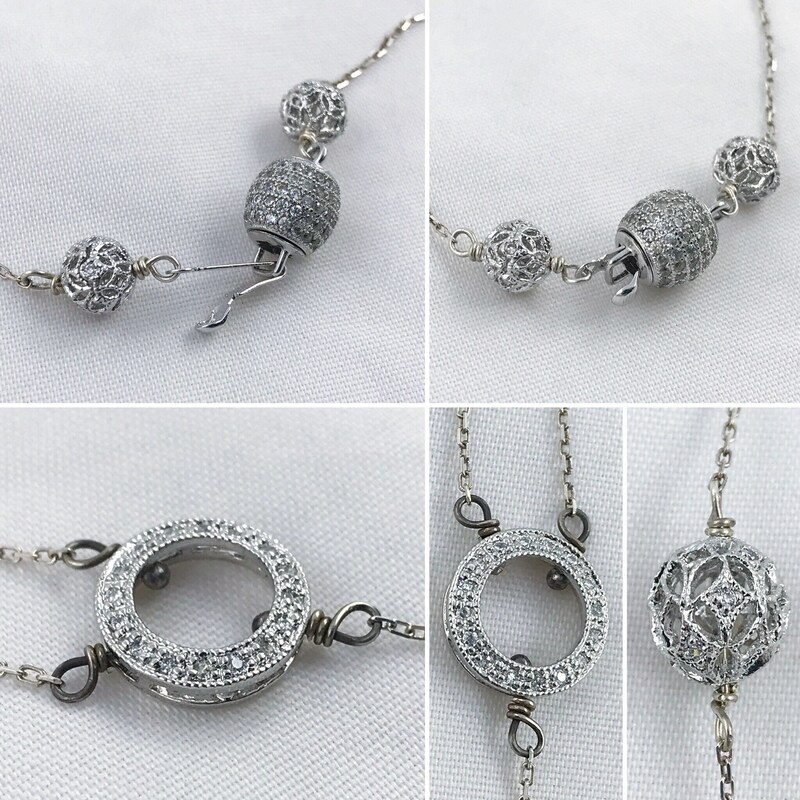 It is connected to the chain by sterling silver torch fired ball pins, which are left darkened from torch firing to add contrast and visual interest. 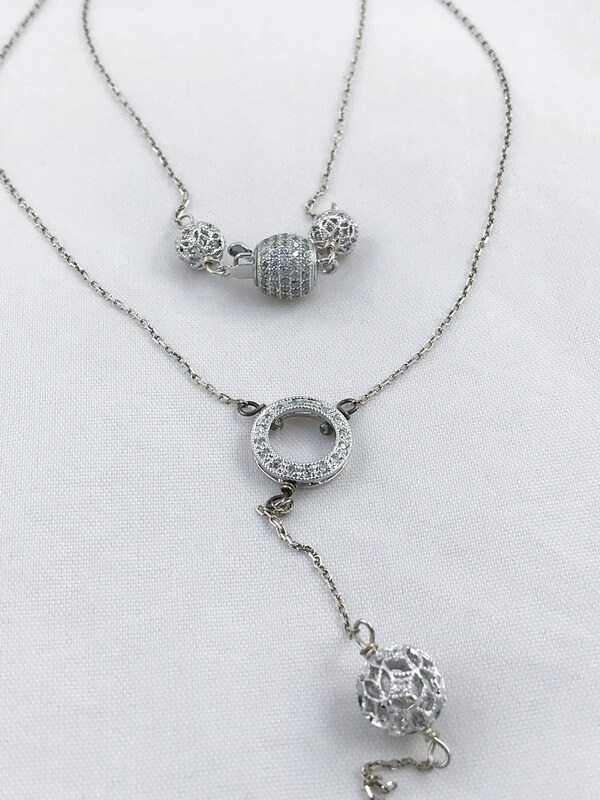 -Below circle component in the "drop" portion of the necklace are three solid sterling silver filigree beads. The first is a 9mm filigree bead with three rows of cubic zirconia inlay running along the bead in an alternating pattern (6 cz on the bead). 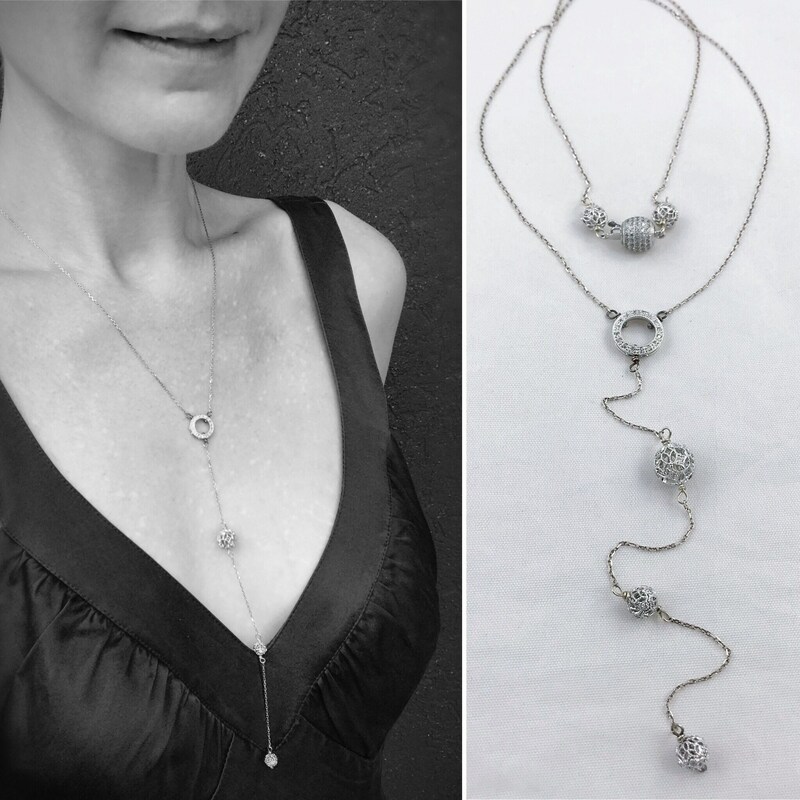 The second two are 6mm filigree beads, each with one row of cubic zirconia inlay running along the center line of each bead (6 cz on each bead). -Bottom filigree bead ends with a torch fired ball pin which is left darkened from torch firing to add contrast and visual interest. 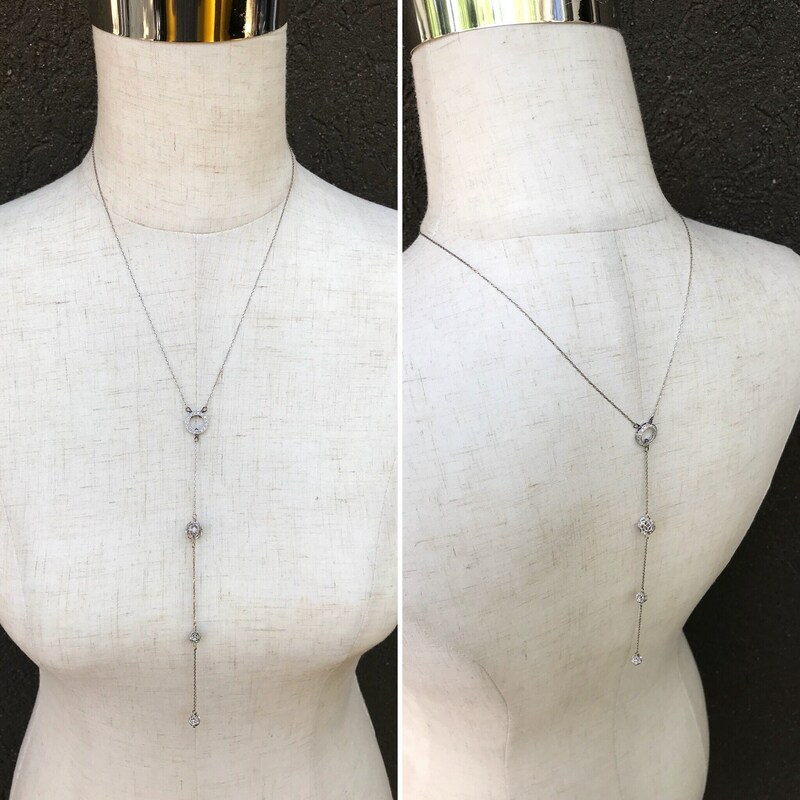 -Length of top section of necklace (how it will fit around your neckline) measuring from one end of clasp, to connecting ring, back to other end of clasp is 20". -Drop length of bottom section from top of connecting ring down to the bottom of last filigree bead is 6.5"